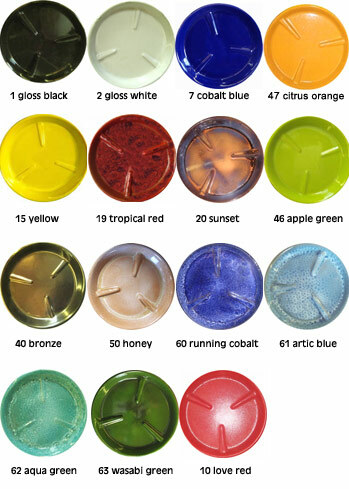 Our glazed saucers are manufactured with a wide range of glazes, boldly colored & finished with a high shine. 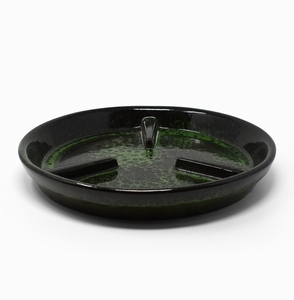 They match our pots in the bold colored glazed section but that doesn't mean they won't go with your pots at home. Perfect for protecting decks or patio surfaces. Don't under-size your saucers and make sure they will hold the amount of runoff the water it will take to water your plants. Do NOT expose to freezing temperatures. Shipping charges are determined by the weight of the order and the ship to address. You can put the item into the shopping cart, enter your ship to address, and the computer will calculate tshippinghip cost prior to purchasing.